Thank you so much for the help and yes it is her i can not thank you enough...many many thanks.! now does any one have a suggestion on what to do with the picture? i have her name now and would like to find her a good home. i am sorry for my ignorance olga who? and thanks again every one for any clues to this individuals identity. i am still researching this individuals identity i did find some photos online of the montenegro sisters (elena,stana and militsa) very possably one of these ladies (by just looking at facial visage) again any site that i can gain access to and use for research would be greatly appreicated as i am finding some sights have definate clues but are extremely elitist. 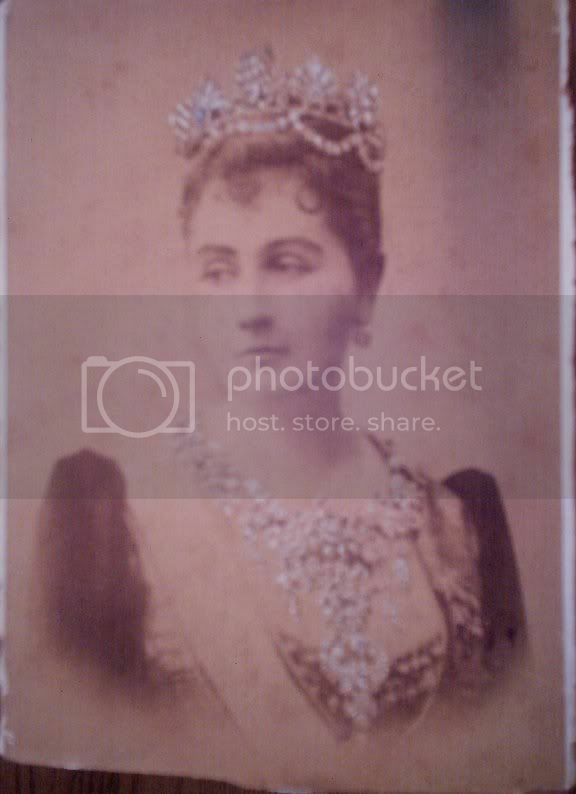 i found this photo in a vintage clothing and antique store i work in on the east coast in the us actually i think it is a repo and some one has written 1893 on it (which can mean nothing) i think it might be maria pavlovna "the elder" grand duchess of vladmir ... if this photois not her any ideas who she might be?